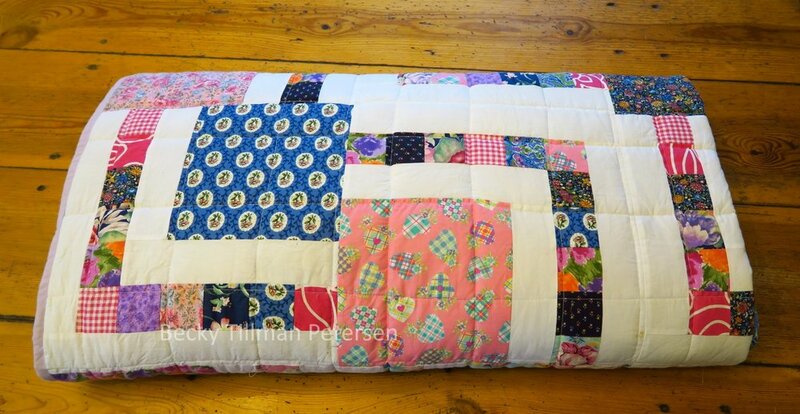 My big "Big Block" quilt is finished and gifted. I had trouble taking pictures of it as it was actually dripping a bit when I was trying to get the picture. However, I HAD to get the picture because I was going to give it away within 2 hours and I didn't have time to wait for the weather to improve! 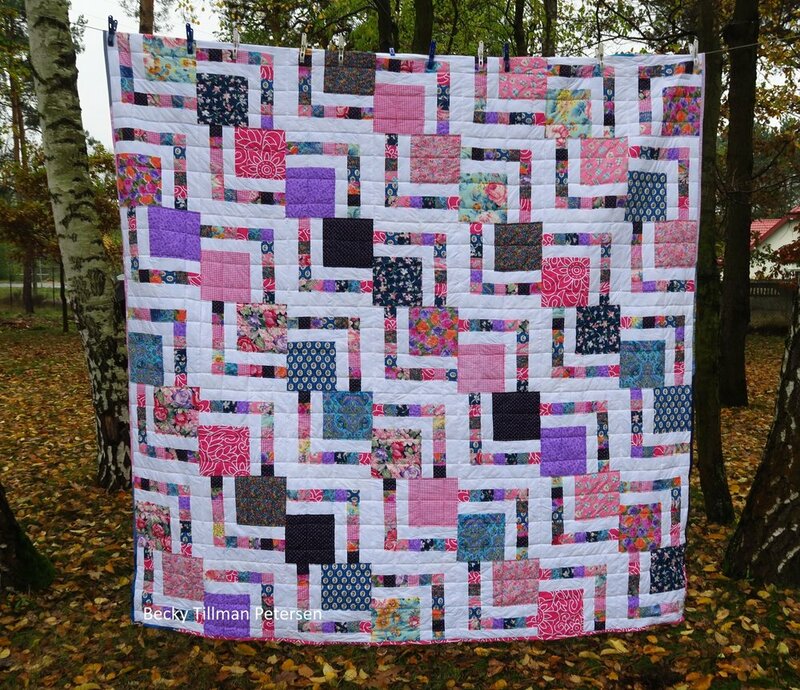 The Big Block pattern is one I've written up and is in the free patterns section here. I figured if it actually got too wet (I was fast! ), I could stick it in the dryer for a few minutes. I don't use it much, but it does actually work - my dryer, that is). But I didn't need to after all. And my friend moved away to a town about an hour away. 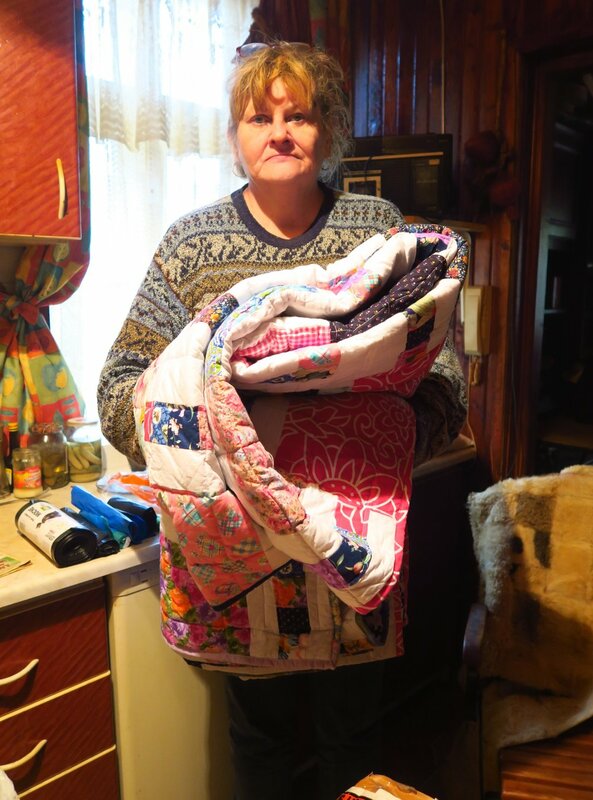 When I took the quilt to her as she said "Thanks for all your help all these years," she had tears in her eyes. That was sweet. And it made it worth it. And that's all from my part of the world for today! Be sure to check out what fun fabrics my sis has for you in her store - there might be something you just have to have! And remember, shipping to the USA is only $5 - no matter how much you order!